BENEFIT PERFORMANCE* –ONE NIGHT ONLY! 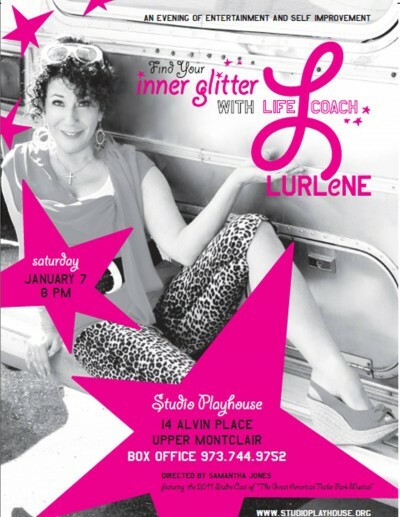 Join Life Coach Lurlene, (Laura Berman Fortgang) aspiring “Life Coach to the Stars” in an evening of YOUR personal transformation. With her high-impact comedic approach to turning your life right-side-up, Lurlene leaves no stone unturned with her ridiculously inspiring hands-on approach. Learn, grow, laugh and be changed for the better! Opening Act: The cast of Studio’s Jan.2011 production of “The Great American Trailer Park Musical”. *All proceeds from tickets sales and Lurlene’s not-so-silent auction benefit The Studio Playhouse’s roof-replacement fund.